Interceptive orthodontics is the practice of extracting the deciduous dentition in an attempt to avoid an adult malocclusion. That’s pretty technical. Here’s what that really means ….if the area for the teeth to grow is smaller than required for a full normal set of teeth, we simply put in a brace to slowly expand the mouth so all the teeth will fit. 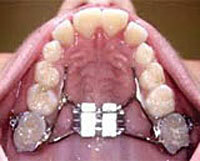 If this correction isn’t made, the teeth will be out of place, often with one tooth behind another one. 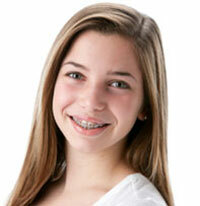 It’s not surprising that many teenagers wear braces. Braces correct dental problems that occur, including teeth that protrude or are crooked, teeth that overlap and crowd each other, as well as teeth that have gaps between them. Also, some children need braces to align and correct their bite.